After thinking about the Battle of Britain in class, we took our learning outside. In two teams (R.A.F. and Luftwaffe) we battled for command of the skies over Britain. 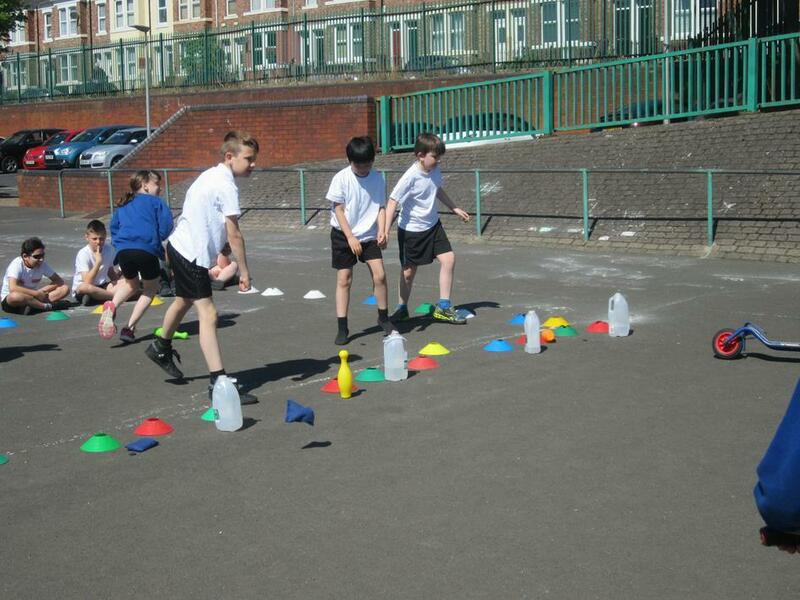 We used ammunition - beanbags and balls - to knock out our opponents planes, which were skittles and plastic bottles. 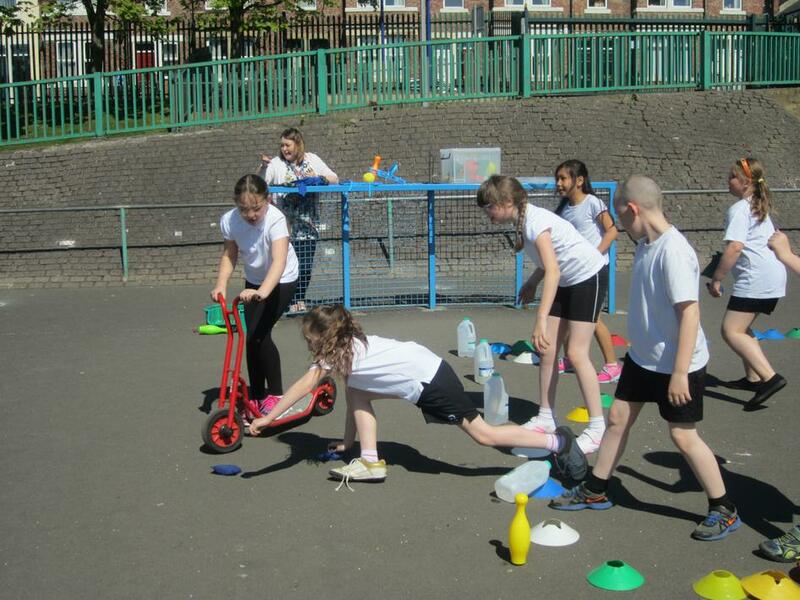 The children on scooters had to keep us in ammunition by returning the balls and beanbags to their team. We had lots of fun too!